One of the most important relationships in this world just might be the relationship between the two behemoth power-states: China and the United States. This is a relationship between a seasoned country with a vibrant and complicated history of over two-thousand years, and a much younger, more modern state of only, uhh, two-hundred something years. Needless to say, the cultural, philosophical, and political differences between the two powers are endless. For the sake of peace and prosperity, there exists a need for these two countries to work together. Political theorists have looked at this relationship and written countless essays tackling the subject, hoping to contribute to the collaborative efforts. But can we approach this relationship from a different angle, say a philosophical strategy called the Yinyang strategy? Most people know about the Yinyang concept, or at least think they do. But what little most of us understand barely grazes the complexities that Yinyang offers. To counter this ignorance, Robin Wang, a professor and scholar in Chinese philosophy, shares her expertise in this exclusive interview. Professor Wang is in the final stages of publishing her new book, ‘Yinyang: The Way of Heaven and Earth in Chinese Thought and Culture’. This colossal literary effort is the result of four years of intense research, toil, and revision that bodes to become an educational masterpiece. With extraordinary detail, Professor Wang demonstrates Yinyang to be more than just a philosophical idea, but a strategy to life that can be applied in every single relationship, including politics, media, gender, and medicine. 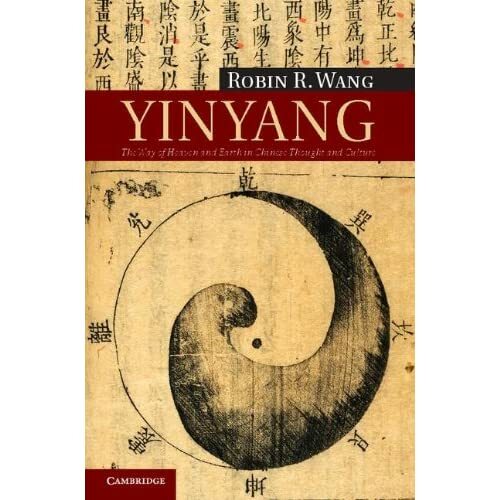 Professor Wang hopes that this book can trigger a comprehensive discussion on Yinyang, especially among thoughtful thinkers on both sides of the Pacific. WAng is porfessor of Philosophy and director of Asian and Pacific Studies at Loyola Marymount University here in Los Angeles. Ms. Lami Luo is a senior at Loyola Marymount University and a columnist with ASIAMEDIA. LL: What is the book all about? RW: My hope is that this is the book to give a comprehensive discussion on Yinyang. Everyone already thinks they know about Yinyang. This is a scholarly way to give a comprehensive discussion on it. Yinyang is more than just the common stereotype, but it’s looking at interaction and how we can pay attention to non-presence and hidden elements. Given time, hidden elements will become reality. How are we able to work on those elements? In another way, Yinyang is a strategy. Sometimes in America, things are very direct. But there are many hidden things that you need to pay attention to. Everything has rhythm, you have to go with it and let nature take its own way. Don’t think that human beings have the power to be in control of everything. Yinyang is more complex, and it belongs in everything. LL: It’s true, there is a common stereotype of what Yinyang is. Everyone thinks it’s a simple idea about harmony and balance. But it’s not that simple, is it? RW: Harmony is established in differences and interaction, not in unity. There is a lot of interaction between things such as countries, states, etcetera. The best way is not to use force against it, but rather work like water – going with it. Work WITH the forces instead of suppressing one to another. There are two types of harmony: musical harmony and cooking harmony. Cooking harmony integrates and blends all the flavors. Just like that, in a political point of view, what Yinyang can teach is that it’s important to bring all the parties together to talk together through interaction, to reach an agreement. Don’t run away or suppress one another, but to work together. LL: This rhymes a lot with the creation of The United Nation, where all the “ingredients” come together for integrated discussion through interaction to reach an agreement. Do you think there is a Yinyang philosophy behind how the U.N. is run? RW: Yes, but the U.N. needs more yin elements. Everyone thinks that they should be yang: aggressive and straight-forward. But they tend to forget about the gentle softness, and the compromising side of interaction. Maybe with compromising, there could be a better world. It is not one to win over another, but rather we work together in interaction. LL: Now that we’re speaking politics, China is the first nation that comes to my mind that should be utilizing Yinyang as a strategy in foreign relations. But it seems like China is portraying a lot more yang because they’re asserting much more aggressiveness and power than ever before. RW: Yes, China may be aggressive, but we need to recognize China’s un-invasive ying aspect. Look at China’s recent interactions with Africa as an example, China is going in supporting the countries by building roads and investing in infrastructure. In Chinese politics, there is definitely a Yin aspect to it. LL: How do you think China and America should interact under the Yinyang strategy? RW: I hope America will have more yin aspect with China and open up the dialogue, one that should never end. America is afraid of China’s space program, because they don’t know what they’re doing up there. It is understandable that America is feeling uneasy because that space is a shared space for economical, scientific, and developmental reasons. But China sees itself as a soft power that uses culture to influence others. The more you use yang to deal with China, the more problems will come out of it. That is how you get into Chinese mentality for thousands of years, because it is in the DNA of the Chinese culture. LL: The United States demonstrates an obvious amount of Yang, but do you think there are elements in this culture that demonstrates Yin? RW: In western cultures, religious teachings may be considered as yin elements. Religion teaches kindness, turning the other cheek, and things of this sort. But religious teachings can also lead to war, so you cannot really generalize. But of course, there is the emergence theory of complexity, and contemporary science is one way to change how we see our world. Contemporary science brings us to see complexity in this world. In that, yin will be brought out. LL: Thank you Professor Wang for your time and expertise. Robin Wang’s Yinyang: The Way of Heaven and Earth in Chinese Thought and Culture will be available in August 2012.